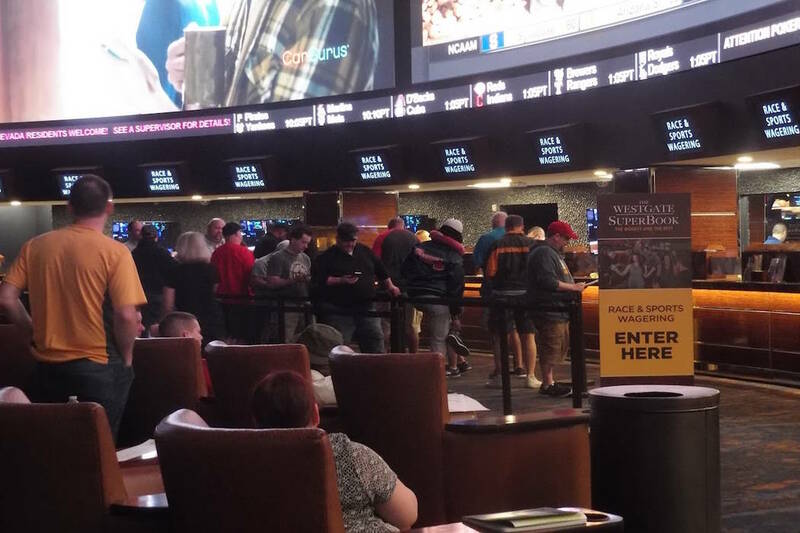 Hours before the first game of this year’s NCAA basketball tournament began Thursday, every seat at the Westgate LasVegas Superbook had already been claimed. 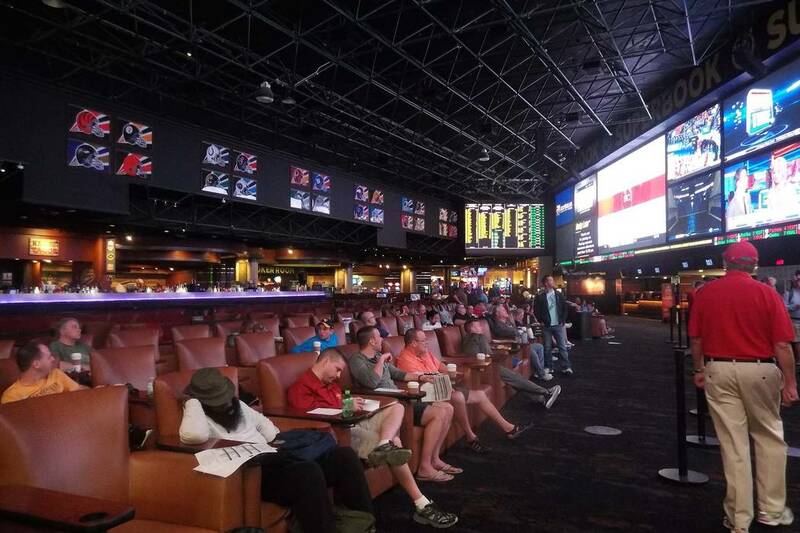 Hours before the first game of this year’s NCAA basketball tournament began Thursday, every seat at the Westgate Las Vegas Superbook had already been claimed. Not every seat was occupied. 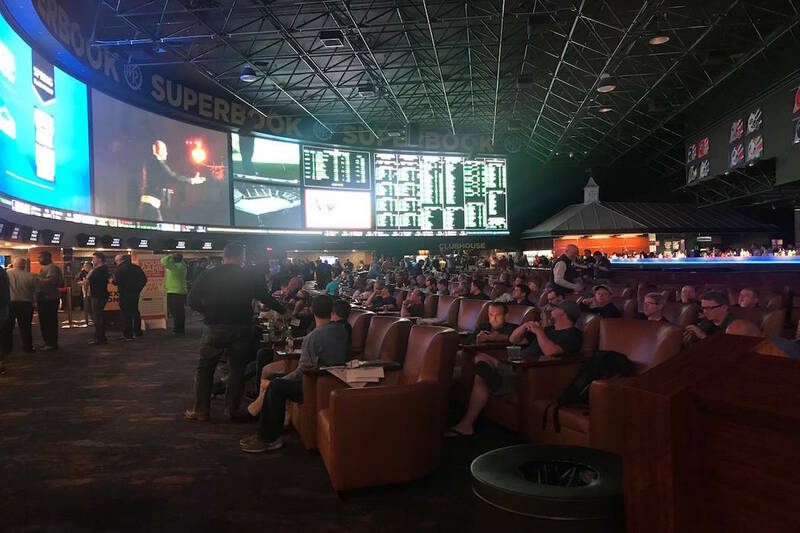 But about 150 people who arrived by 5 a.m. had staked out territory in the 400-seat at the sports book, putting signs on seats that were “reserved” for friends that hadn’t yet arrived. Between those and the seats that were actually reserved through management, the place was fully booked. “History shows that if you don’t get here early, you won’t have a seat,” said Terry Johnson, who flew in from Arizona to watch Thursday’s games at the Westgate. Unfortunately for Johnson, he didn’t get there quite early enough. He arrived a little after 5 a.m., an hour before the betting windows even opened, and borrowed a spot from another group whose friends hadn’t arrived yet. He’s the bracketologist of the group — the one who watches the games and figures out where to place the bets. “You don’t even want to ask how he does it because you might somehow mess things up,” Matt James said. James and his friends met in college, but now live scattered around the country — in Washington, D.C., Seattle, Fresno, the Bay Area and Green Bay, Wisconsin. This is the 13th year in a row they’ve met up in Las Vegas to catch up and bet on March Madness. The key to March Madness betting, Johnson said, is research: keeping up with the teams and individual players through the season. “Otherwise, you might as well just walk up there and give up your money,” he said. Johnson is a regular at the Westgate, traveling to Las Vegas a few times a year to bet. Johnson’s a Sun Devils fan, but he said betting on the tournament isn’t about picking favorites. Mark Luna said the same thing as he stood to the side, watching the seats fill up over the rim of a Starbucks cup. He wasn’t talking about betting. He also showed up late, but said he wasn’t worried about finding a seat. Luna’s not big on sports betting, but he knew he took a gamble when he decided to sleep in.